Most online applicants will apply for and sign for an auto title loan without investigating the terms of their loan. Most applicants will move forward without determining whether or not they can pay more each month. An applicant can save cash if they shorten the length of their auto title loan. Try to be this person! When you first apply you need to realize that your title lender will have some type of incentive. This is in place to string out the amount of time it takes for you to pay off your loan. Most short term lenders will always come with high interest rates. So each month that gets added to your loan terms will result in you paying much more over the life of the loan. Of course, with every month added to the loan term your monthly payment will be lower but you don’t want to keep adding months if you don’t have too. Did you know there are protections in place that will make sure you understand what you’re getting into before you move forward with a title loan? That’s right, most states have restrictions in place that make your online lender disclose different details. It’s important to know what the lending terms are before the title loan funds. For instance, your lender must tell you how much more you’ll be paying in fees on an auto title loan that lasts for 40 months versus one that lasts for 30 months. You’d be surprised how much the difference is in this scenario! Also, your lender must disclose in writing the due dates for your loan payment as well as what happens if you fall behind on your monthly payment. Most lenders disclose the important information before signing up a borrower. They will often try to hold back or make the unfriendly terms show up on your loan document. These lending terms will be in small font so it’s hard to read. Another common trick of lenders that fund car equity loans is to give you a contract that is in excess of 10 pages. The title lender’s plan here is to weigh down your loan documents with legal jargon that just confuses you to the point where you don’t want read on. A lengthy loan contract will also give a car lender the hope that they can cram some unfriendly terms into the fine print in order for you to miss it. The average length of a car title loan used to be about 2 years. As we’ve seen more and more online title lenders provide different rates and fees. These companies enter the marketplace and we’re seeing the average length now approaching 3 years. This isn’t necessarily a bad thing. In fact it could simply mean that more auto title loans are being issued for high dollar amounts. It could also mean that people just don’t have the money. Maybe they have no other choice but to stretch out their title loan monthly payments. Even though the only option for a cash strapped consumer may be a longer loan term. There’s no disputing the fact that payday loans will carry equal risk. 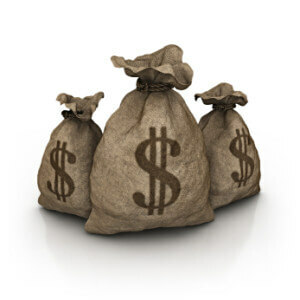 In fact you have a stronger chance of defaulting versus a cash advance with a 24 month payoff. There is typically no difference in the creditworthiness of the consumer in this situation. It’s important to know how much money you can save with a lower payoff term. The Government does a great job of breakind down they payoff options. At the end of the day all we can hope for is that the consumer is making the best decision for their financial situation. Additionally we need to make sure the firms that provide equity financing are funding the online loan that best fits the customer. Even if a car title loan has a 24 month payoff instead of a 36 month payoff there’s no reason that it can’t be profitability for the auto title loan lender.